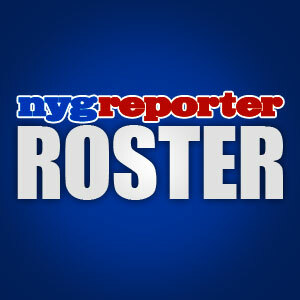 NEW YORK – The New York Giants had a wonderful day by any measure of success in obtaining undrafted rookies yesterday. However, they also caused some waves among Giants fans by releasing some “fan favorite” players. After the news broke about the teams plans to release C Shaun O’Hara and OL Rich Seubert, the team followed up with more bad news by not coming to terms with OL Shawn Andrews. That means three offensive linemen have been cut or released in one day. This has left fans scratching their heads because it was very evident that the offensive line needed help before these cuts. They did re-sign OL Kevin Boothe to a two year deal but he is primarily a backup. The Giants have also reportedly agreed to terms with OL/C David Baas (6’4″ 330 pounds) who played his first six seasons with the San Francisco 49ers. Fans have come to trust GM Jerry Reese and I’m sure he has a plan but this is asking for a whole lot of trust. Fans awoke today to more bad news, when they read that DT Barry Cofield will be leaving the team and going to the Washington Redskins of all places. Reports have him signing a six year deal with the division rival. This is another move I just don’t understand. Barry Cofield had become one of my favorite players because all he did was shut his mouth and do his job. The coaches must have seen something that I didn’t because Barry appeared to be the only steady rock in the middle of that defensive line. I truly wish him well and hate that he will be playing across the line from us for at least six years. The Giants have been working hard to re-sign RB Ahmad Bradshaw and believe it or not, the team had been talking with WR Plaxico Burress for much of the day yesterday. Coughlin even came out and said he did not mind speaking to Burress, which he will do today. I’m not sure how realistic it is to think Plaxico will return to New York after all of the bad things he said about not wanting to play for Coach Coughlin but crazier things have happened in the past. It is unclear who the G-Men will target in free agency after clearing up some cap space by releasing all of these players. They may have to just sign all of their own players and only get one or two free agents off the market. The Giants have just placed the offensive linemen position on top of the “need” chart by making all of these moves. I’m very surprised they didn’t take measures to replace them prior to announcing the cuts. That only tells me that GM Jerry Reese must be targeting at least one big time offensive lineman from free agency. The madness is far from over so stay tuned for more updates fans. Are you surprised by all of the player moves Big Blue has made so far? This entry was posted on Wednesday, July 27th, 2011 at 9:15 AM and is filed under 2011 Fantasy Football, 2011 New York Giants, 2011 NFL Draft, 2011 NFL Lockout, 2011 NFL Minicamp, 2011 NFL Preseason, 2011 NFL Regular Season, 2011 NFL Training Camp, Big Blue, Chris Mara, East Rutherford, Eli Manning, G-Men, Giants, Giants Coaches, Giants Draft, Giants Front Office, Giants History, Giants Injuries, Giants Mini Camp, Giants Roster, Giants Stadium, Giants Training Camp, Giants Transactions, Jerry Reese, John Mara, Jonathan Tisch, Justin Tuck, Kevin Gilbride, New Jersey, New Meadowlands Stadium, New York, New York Football Giants, New York Giants, NFC East, NFL, NFL Draft, NFL Lockout, NFL New York Giants, NFL Schedule, Nilay Shah, NY Giants, NYG, NYG Blog, NYG Draft, NYG Exclusive, NYG Fantasy Football, NYG Minicamp, NYG Preseason, NYG Regular Season, NYG Reporter, NYG Schedule, NYG Story, NYG Training Camp, NYG Website, nygreporter, Pat Hanlon, Perry Fewell, Roger Goodell, Steve Tisch, Timex Performance Center, Tom Coughlin, Tom Quinn, Wounded Warrior Project. You can follow any responses to this entry through the RSS 2.0 feed. You can leave a response, or trackback from your own site. The latest thing that surprised me the most,is it seems our new york giants will talk to plaxico burress shortly,i have to say that this is something ive wanted since plax got out of prison,but with all the rumors of different teams that circulated,i actually made my peace with him going somewhere else.i do believe that getting plax back will be instrumental in the giants offense this season,and just his presence on the field will draw enough attention to get our young wideouts open.i also believe that the younger receivers will learn from his experience playing on the field and off the field learning from his mistake.i also believe eli will be more comfortable knowing he has his security blanket back. Plaxico Burress is a great player and I wouldn’t mind having him back on the team. The problem with Plaxico is that he talks too much. Why he would condemn Coach Coughlin immediately after being released from prison is beyond me. Why he would say that he would never play for Coughlin is mind boggling. On the field, the guy is a straight baller, no doubt. I would not mind seeing #17 out there again, I hope he has changed his life around and wish him well no matter what happens. i know there not going to be able to talk to plax until friday,but i believe that trash talk about coughlin was to let other teams think they had a shot at him other then the giants,i think rosenhaus had a part in that.wouldnt an agent want his client to keep his mouth shut,especially in plaxicos situation just getting out of prison,why make enemies when he should be making money,sounds like his agent stirring the pot.of course thats just a theory.i think if the g-men sign plax,there will be peace in the valley. You could be right. It’s hard to make sense of anything that has happened with Plaxico. Nobody stood up for him more then me during his prison stint and since his release from prison. It wasn’t until he talked bad about the coach that I started to back off. i felt betrayed by those comments against Coughlin as a fan. I agree that it feels good to talk about football again. More importantly about things that actually have meaning. I look forward to some good talks throughout the football year too buddy. By the way robdomaine,this is awesome that we are actually talking football moves.im so appreciative that we will have season and to have this great forum to discuss our ny giants. if the giants cant talk to burress,can another team try to sneak in.or will burress first meeting be with big blue.im pretty confident the giants will grab him if they are first to so sit him down on the carpet.also i like the kid from the 49ers the g-men picked up for the o-line.now we need depth. Burress can talk to any team he wants as a free agent. The Eagles seem to be trying to get him and I heard the Texans might be interested too. I’ve been reading up on David Baas from the 49ers and he seems to be a good pickup. He was a 2nd round pick in 2005.